The office of Jaimie Kocian DDS (JK Dentistry) in the Woodlands, TX treats a wide variety of dental conditions in patients of all ages, from infancy to late adulthood. Our goal is to give you a healthy and beautiful smile that will last a lifetime. Since 2011, we have been committed to providing exceptional oral health care and a high level of customer service. We deliver general and cosmetic dental treatments in a comfortable and friendly atmosphere. We understand that some of our patients have a busy schedule, which is why we provide our services in a timely and professional manner. When you turn to us, you won’t have to wait long to get high-quality dental care that is tailored to your needs. Have a brighter, whiter smile in under 30 minutes! Ask us about in-office bleaching. Dr. Jaimie Kocian is a dentist who loves her profession. She takes great pride in providing every patient with the respect and attention that they deserve. 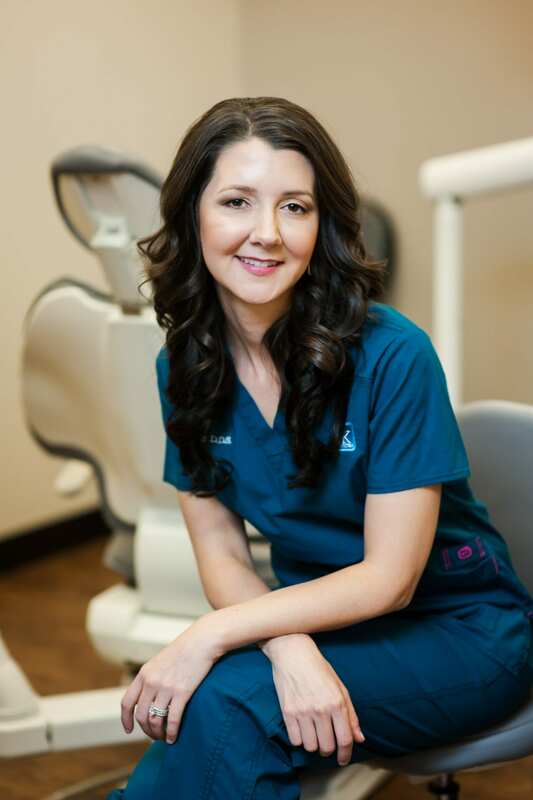 Under her leadership, we aim to help meet all of our patients’ general and cosmetic dental care needs. Prior to opening her own practice, Dr. Kocian worked in a dental office that focused on providing dental care to individuals with special needs. She served patients with autism, cerebral palsy, and Alzheimer’s. This gave her countless opportunities to give wonderful smiles to individuals with unique needs and restrictions. Dr. Kocian is a native Houstonian who went to Texas A&M University for her undergraduate studies. She also graduated from the Dental School at the University of Texas Health Science Center at San Antonio (UTHSCSA-Dental). You can request an appointment online. We will call you to confirm the day and time. This is just another service we provide because we value your time. We look forward to having you as our new patient. To save you time, you can complete your New Patient Form online and submit it before your appointment.